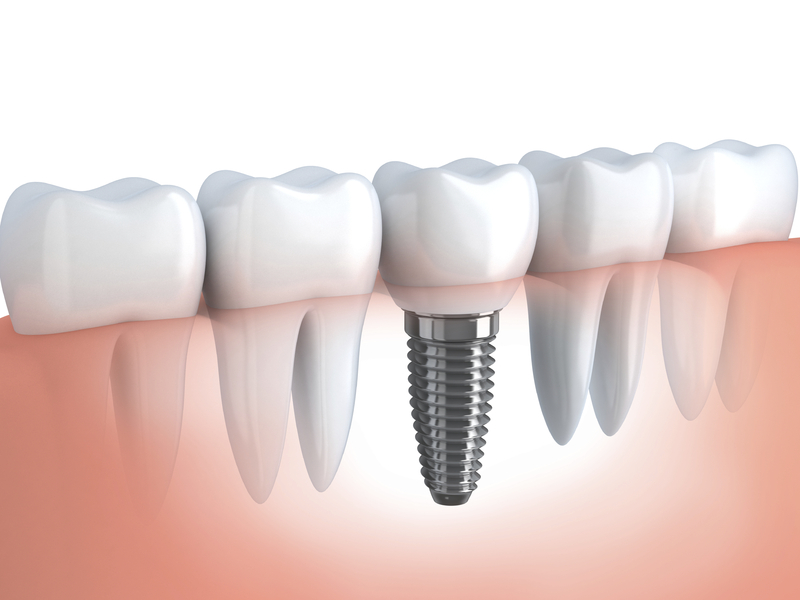 A dental implant is a small titanium screw that replaces the root portion of a missing natural tooth. An implant can be placed on either the upper or lower jaw. 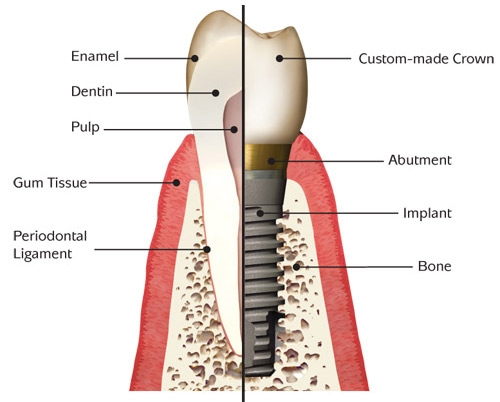 The implant will fuse to the bone and becomes a great anchor for the replacement tooth/teeth. Someone who lost one or more teeth due to injury, tooth decay or disease may be a candidate for dental implants. The deciding factor would be the amount of bone available in the area. Your dentist would be the best person to determine whether or not you are eligible for an implant.